The James River runs 340 miles through the heart of Virginia, where its waters and shores were witness to the beginning of American history. Today the James helps us celebrate our heritage and connect with the natural world. Its abundant wildlife and scenic beauty add to our quality of life and attract visitors who support the local economy. Join us today in learning more about the James and helping to envision a great future for America's Founding River! Explore the topics below or learn about the Initiative. 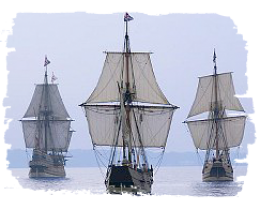 The first permanent English settlement in America was founded on the banks of the James River at Jamestown in 1607. The River played a critical role in the founding of America by feeding and protecting the early settlers, providing valuable commodities, and serving as a strategic transportation corridor through the 19th century. This rich history sets the stage for place-based tourism, in which visitors and residents learn about the history of the James, the battles along its shores, and its people. 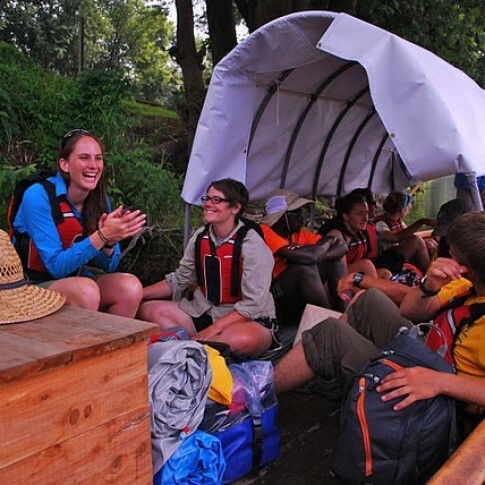 Whether you're interested in paddling, hiking, biking, scenic vistas, or wildlife watching, the James River watershed contains hundreds of beautiful and fascinating places for residents and visitors to explore. Both water- and land-based trails weave throughout the watershed, creating opportunities for the public to get outside and engage with the natural world. A great variety and abundance of wildlife and ecosystems call the James River watershed home. These animals and plants have sustained our economy and enriched our way of life for centuries. Discover the wildlife that inhabit the forests, fields, and waterways of the region. 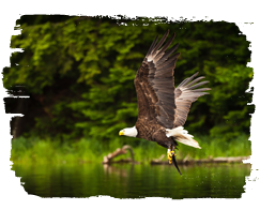 Many of these areas can be enhanced to improve wildlife populations along the River, ensuring that iconic species like the bald eagle will be able to be enjoyed by future generations. 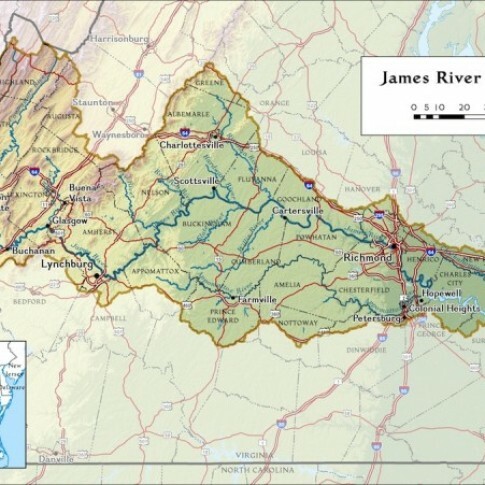 2.5 million people live within the James River watershed, an area that stretches over 340 miles from the river's source in the Allegheny Mountains to its mouth in the Chesapeake Bay and includes more than 15,000 miles of tributaries. 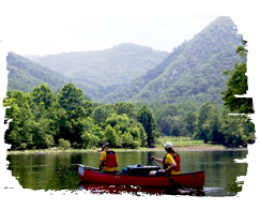 We have a direct impact on the health of the James and its tributaries, and are ourselves impacted by their health. 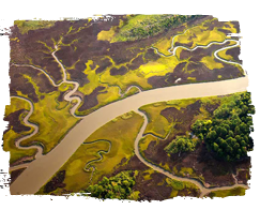 There are many opportunities to enhance the James River's natural ecosystems, for the health of the watershed, the wildlife that depend on it, and the people who use it for their livelihoods and enjoyment. This section of the site is meant to gather and share opinions about the future of the James. 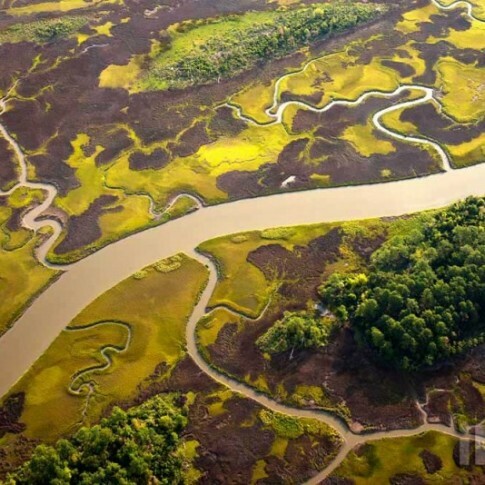 It includes surveys and map-based "Geopolls" for residents and visitors to talk about the places and things they care about in the James River Watershed. 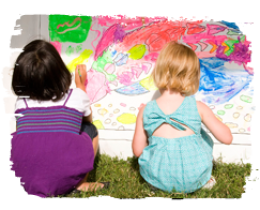 These opinions will be incorporated into a collective vision for all of us to implement.